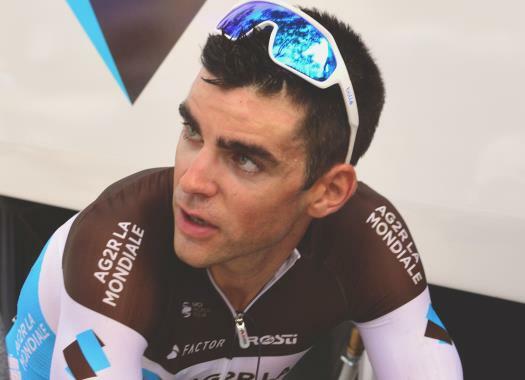 AG2R La Mondiale's Tony Gallopin took an impressive win at the Vuelta a España by attacking at the last metres and leaving the pack behind. Gallopin already knew what it was like to take a victory in a Grand Tour as he also won one stage at the 2014 Tour de France. "Winning a stage at La Vuelta was part of the plan, it was one of the team’s goals," said the Frenchman at the end of the day. "The idea is also to do good on the general classification but if there was an opportunity for a stage win, I had to seize it." The 2019 season hasn't been good for Gallopin, he had a crash at the French National Championships that left him with bruises and abrasions, and another one at the Tour de France, which left him out of the race with a broken rib. "I’ve been very unlucky this season but the team believed in me for La Vuelta and that’s the best way to repay them," commented the rider. "The last 20 kilometres were really difficult. It was narrow roads, technical downhills. We’ve seen crashes, attacks from the favourites... I stayed in a good position and waited for the right moment to get back to Herrada and counter-attack. It’s fantastic. To win ahead of riders like Sagan or Valverde means something. I felt from the start of La Vuelta I have good legs. I’ve lost weight, I’ve trained in the mountains and there’s something to do with the general classification. I have nothing to lose, and if I hit the wall someday, then I’ll aim for another stage win."